Here are 5 genius hacks to help minimize holiday stress levels. 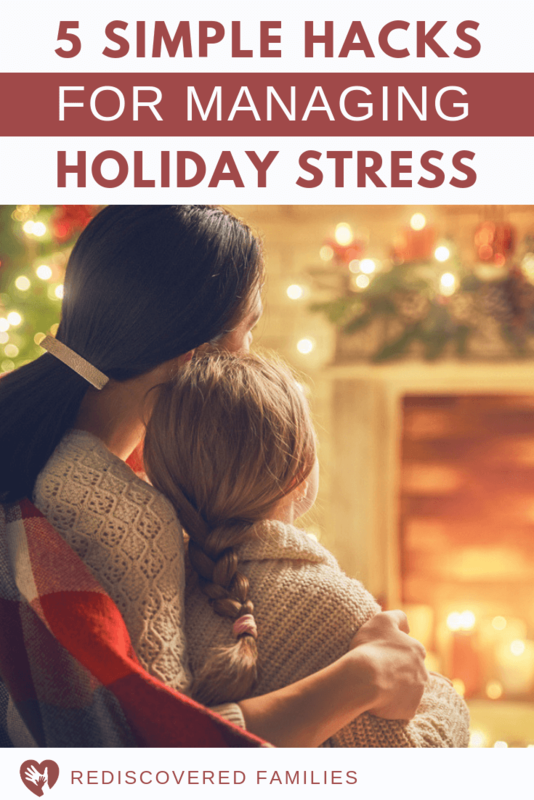 Check out these simple tips that will transform your holiday and get rid off the angry perfectionist mom. 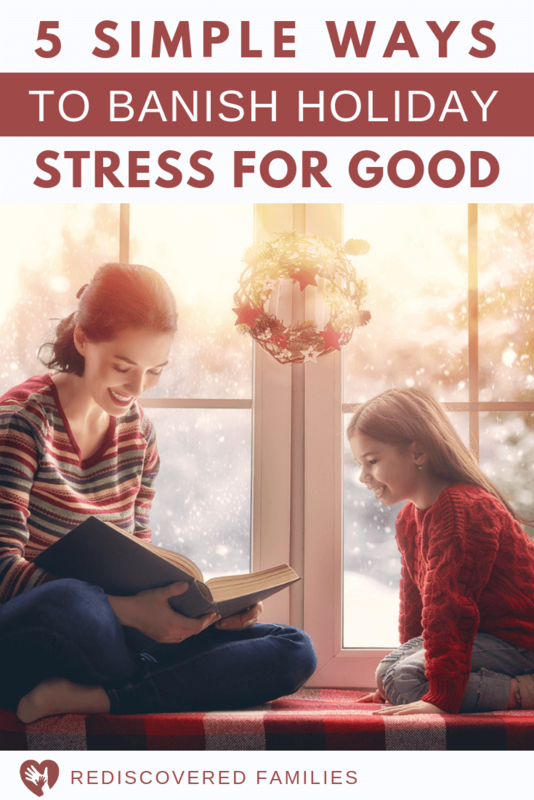 Click through to learn how banish Christmas stress for good. If you want to capture the wonder and joy of Christmas just watch a young child. The photograph above is a picture of my middle son. 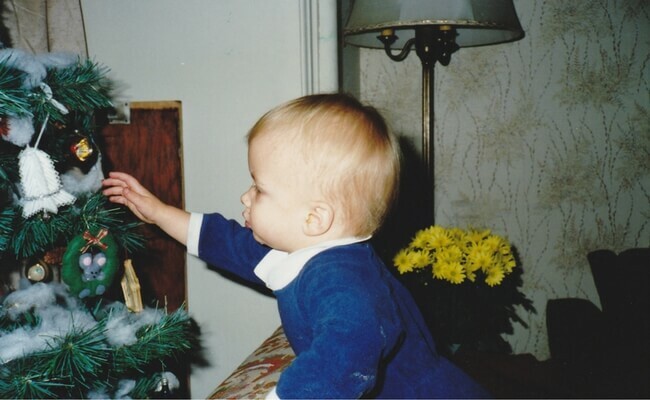 It was his second Christmas and the tree with its twinkling lights and ornaments had captivated him. I managed to snap this photograph just as he reached out to gently stroke one of the ornaments. His face is full of wonder, the kind that comes from a deep down sense of awe and amazement. It is one of my favorite pictures of him. At the library the preschoolers are starting to get excited about Christmas. These little ones love to share their Christmas stories. Dancing up and down with joy they tell me who is coming for Christmas and what they are doing to get ready. If only we could package that joy! What happens to our sense of joy and wonder? Maybe it’s time for us to take our lead from the young children in our lives. Maybe it’s time for us to reclaim some of that joy and wonder. I have interacted with many preschoolers through the years and have learned a lot from them about how to enjoy the holidays. Young children have the capacity to fully embrace the present. If they enjoy doing something they give it their full attention and enjoy every moment. Tip 1: This year take some time make a list of the things you really enjoy about the holidays season. Then joyfully embrace those things. Try answering these helpful questions. It will only take a few minutes and will help you figure out what deserves your full attention. 2. They are very good at saying No! Preschoolers are really good at saying no. There have no qualms about it either. While this trait can be trying at times it is actually very healthy. Tip 2: It’s time to follow their lead and start saying no with gusto! If we want time to embrace what we love, then we need to say no to what we don’t. There is no rule that says you HAVE to do anything and it is fine to say no! The 5 Ds in this post are a helpful guide to say no. The preschoolers at the library love to talk about their Christmas celebration. They talk excitedly about their family’s Christmas traditions and who came to visit. Not one of them has ever told me what gifts they received. I know from experience that a Christmas celebration with an emphasis on relationships and family traditions is wonderful. We can’t go wrong if we focus on those things. Tip:3 Look at your to do list. Do the items focus on family traditions? Give yourself permission to delete (or delegate) anything that does not have anything to do with your Christmas traditions and building family relationships . This might include things like attending office/friends parties, writing Christmas cards, Christmas house cleaning, volunteering to organize the church pageant, baking cookies for class parties (buy them instead). None of these are bad choices, but we don’t have to say yes to them all. What will you cross off your list? Young children tend do better in situations where they are not overwhelmed with too much. I remember so well when my boys were that age. They would open a gift and want to play with it immediately. They had absolutely no interest in opening the other gifts. In our culture we are constantly bombarded with the message that more is better. Actually the opposite is true. For the last 15 years I have been working to simplify Christmas. You can read my story here. Downsizing Christmas has really helped me to enjoy the holidays and focus on what matters. Tip 4: Choose one or two ways to simplify your Christmas celebration this year. 5. They don’t worry if something isn’t perfect. During December the children in the library Story Time group make ornaments and gifts together. It’s such fun. The children paint and embellish to their hearts content. Most of these creations are definitely unique and often lopsided. It never occurs to the young artists that they are not good enough to take home. It is a good reminder to me that my Christmas doesn’t have to be picture perfect. If I have done something with love then it is good enough. Tip 5: Embrace the gift of imperfection. It will free you from holiday stress and help you enjoy the magic. If you are finding yourself a little frazzled at the thought of Christmas take a few moments to watch the children. Then take a deep breath and follow their lead. Remember that in the eyes of your child love is not found in an enormous pile of expensive presents, a perfectly decorated house, or mounds of exquisite food. Love is experienced in the tender moments of connection and the time spent enjoying the season with them. I’ve made this festive phone wallpaper just for you. 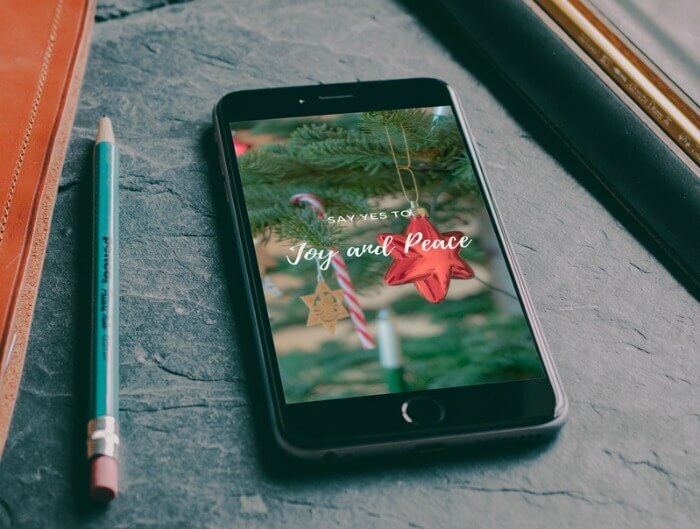 It will be a small reminder every time you use your phone in the countdown to Christmas. Grab your free wallpaper from the library click here. What helps you to keep your focus during the holidays? How do you stop the clamor of the endless to do lists? 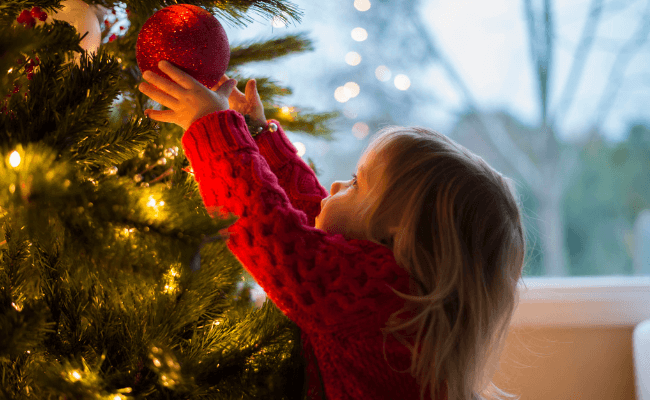 What do your children most enjoy about Christmas? Do you know what? This is the first christmas that I’ve really taken a step back and haven’t stressed about christmas and what I had to do, I’ve been really looking forward to it and can’t wait to enjoy it with my son. He was too young last year to really understand or be involved, but now he’s two I just love it. The look on his face when I Put the christmas tree up. Yes, he wanted to pull things off the tree, but that’s all part of the discovery. We’ve opened two boxes from the advent calendar and he’s beginning to understand and his eyes just light up! I feel like a kid again! So important and so right. i love seeing it from my childrens view and i have certainly changed the way i “do” christmas now. really interesting read thank you. Thanks for popping by and leaving a comment. I hope you have a wonderful CHristmas. We certainly have a lot to learn from toddlers! thank you for reminding me too! 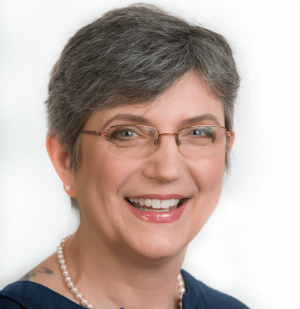 Sara (@mumturnedmom) recently posted…Welcome back Elfie! It sounds as if you are well on your way to a wonderful Christmas. Yes. We should all take note from our toddlers, slow down and simplify. That is so true Karen, life would be a lot less stressful! I love this! I think children have so very much to teach us about everything if we just stop and see it. 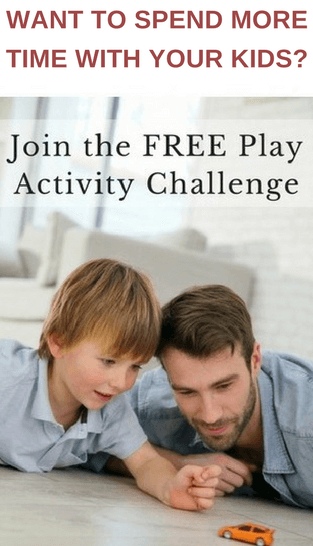 Thanks so much for stopping by and sharing on Family Friday Link Up Party! I’ve been thinking about how we bombard them with gifts and how to do that better this year. I’m wondering if it would be better to spread them out during the day a little more? We spread the gifts out during the day and it worked well for us. I think there may have been years when some gifts got left for the next day. It really doesn’t matter. I preferred to see my boys playing instead of getting overwhelmed. Yes I wish I was as good at saying no! It is completely wrong considering kids as a source of disturbance. Even Jesus Christ chose being a poor baby to come on our world. Jesus is close to children. It exemplifies how we need to get close to children too. Paying attention to how little children behave we can see how closer they are to Jesus than the adult. Thanks for sharing. What a beautiful post. You are right Adelien. I’m learn so much from children.